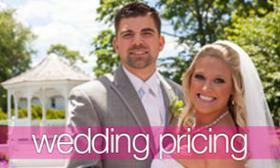 When it comes to your wedding, it’s usually best to avoid trends, after all your wedding photos last a lifetime. 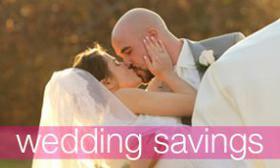 But, if you are a bride that LOVES to embrace trends then Millennial Pink is the answer! Contemporary, cool, and versatile we really love this new rendition of pink! Millennial pink is less of a single color and more of a color spectrum, starting somewhere near ballerina-blush and ending closer to coral. We have seen many creative ways to incorporate this lovely trend here at the Canoe Club Ballroom. 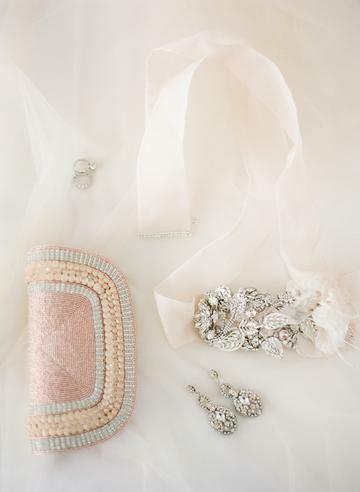 We have seen bridal gowns in blush, that sweep across the ballroom floor. Aisle décor of rose petals that drift from rose to bubble gum to salmon. All of these beautiful variations of the color are trending! We have gathered up fabulous ideas that will leave you feeling pretty in millennial pink, all the way from your ceremony to your pink-splashed reception in our ballroom! 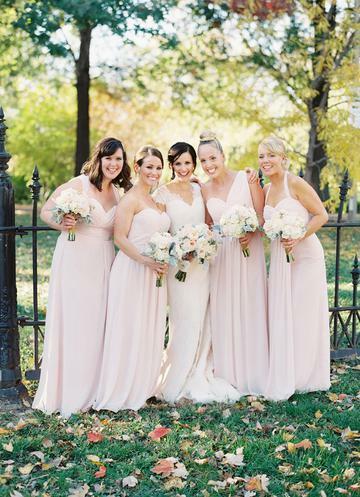 Your girls will love these mix and match soft blush bridesmaid’s dresses for your wedding day! 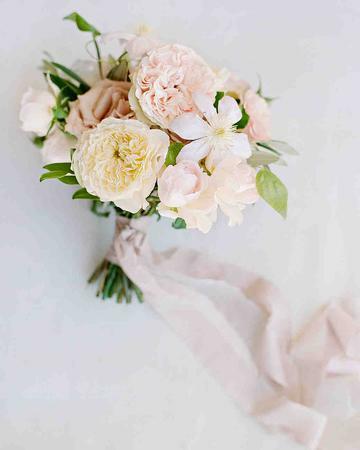 Blooms in lovely creams and pink are perfect for your bridal bouquet. 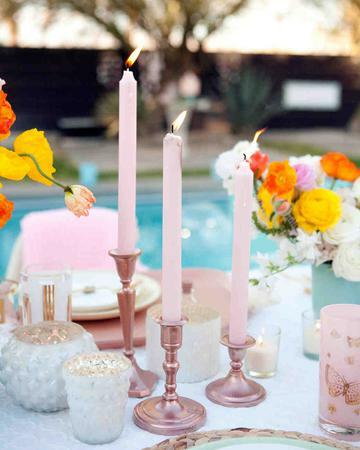 Wow your guests with pink candles along with rose gold details, to make them really pop! 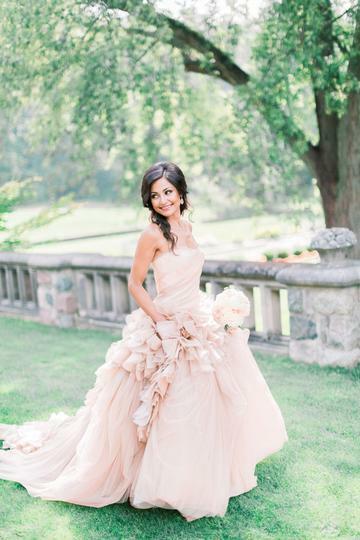 Exude romance on your wedding day by wearing a beautiful pink bridal gown! 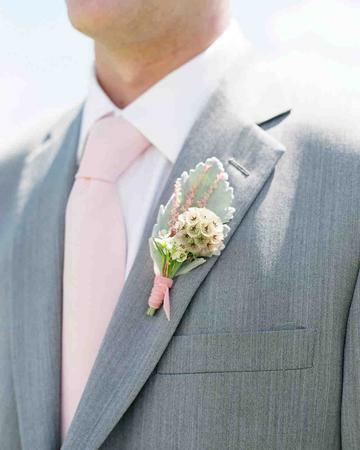 Your groom can wear the signature color as well, have him wear a pink tie and add a hint of color into the boutonniere. Don’t forget beautiful accessories to complete your perfectly pink look!! 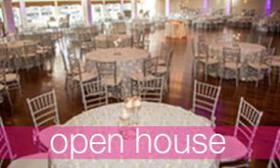 Don’t forget to call the Canoe Club Ballroom for a Tour & Bridal Appointment!